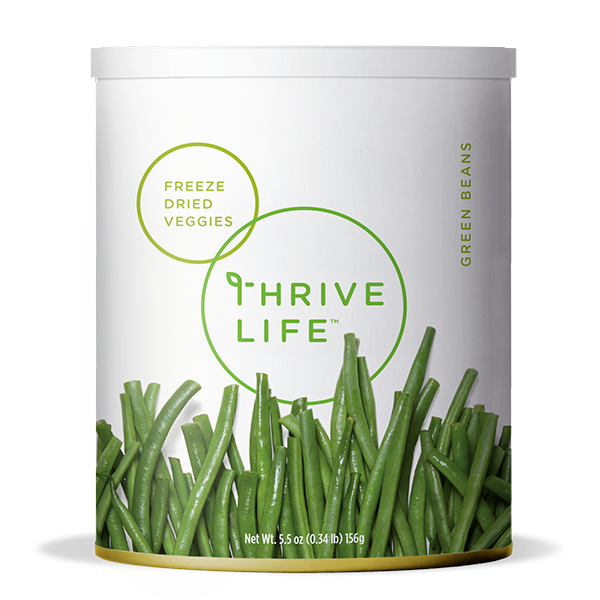 THRIVE Green Beans are a simple solution to a well-balanced meal. THRIVE Green Beans are pre-cut, which will help you decrease your meal preparation time because you will no longer need to wash and cut each bean. You can toss these fantastic veggies right into your dinner casserole or side dishes. THRIVE Green Beans are packed with essential vitamins and nutrients that will help strengthen your cardiovascular health. Whether you sauté, bake, or stir fry THRIVE Green Beans, they will always add a zest of flavor and health to your home-cooked meals. Add 1⁄3 cup of water to 1 cup Green Beans; let sit covered for 5-10 minutes or until tender. Their small-cut size makes them an essential for bean salads, stir fry and green bean casserole.